Find the bridal gown of your dreams! Looking for a unique wedding dress, or something more traditional? 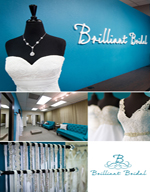 These vendors can provide the perfect wedding and bridesmaid dresses for you in Las Vegas! 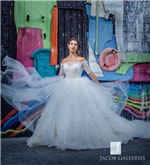 Wedding dresses, bridal gowns, maid of honor, bridesmaids, mother of the bride and flower girl dresses can all be found through the Las Vegas bridal gown shops listed here. Wedding apparel tip: Choose your wedding gown first as it sets the tone for the wedding and affects the styles for the rest of the wedding party. The style of your bridal dress can be influenced by the location of your wedding, time of year, the time of day and of course, your budget. Las Vegas weddings lend theirselves to dresses suited for hot days most of the year. Of course, if you are an unconventional savvy Vegas bride, just go for the dress of your dreams and everything else will fall into place around it. Most experts advise you to order your wedding dress no later than 6 or 7 months before the wedding.